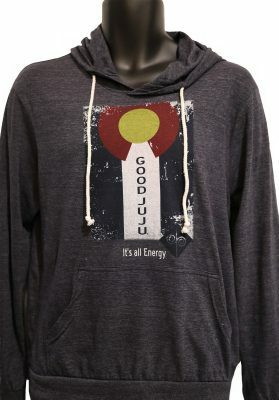 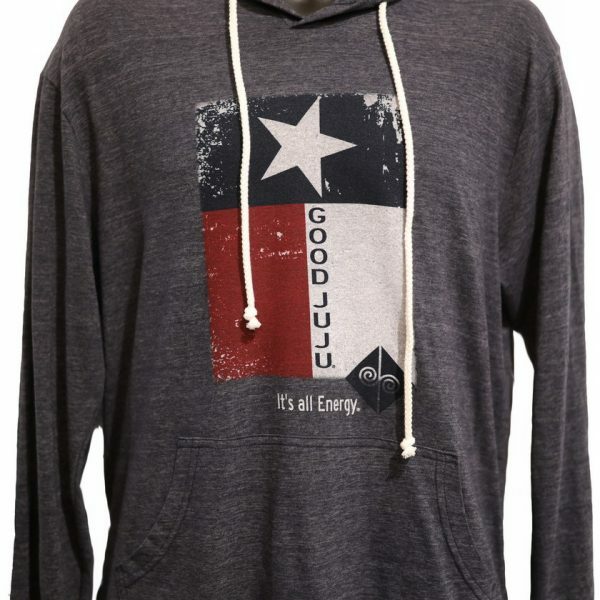 Our gray “Texas flag” hoodie proudly displays Texas Good Juju! 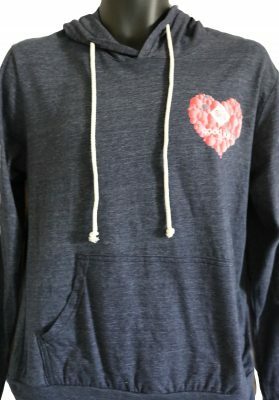 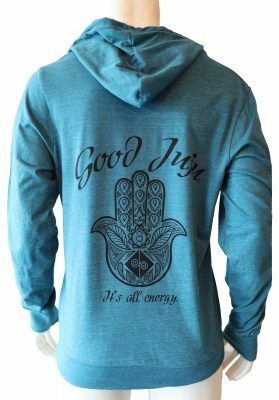 This unisex hoodie is perfect for exercise or everyday activities. 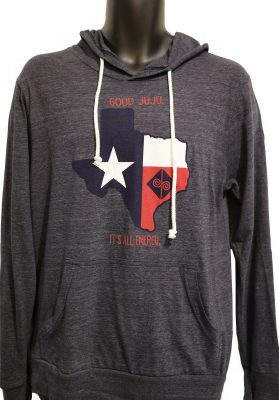 Show your love and pride for Texas while wearing this lightweight hoodie. 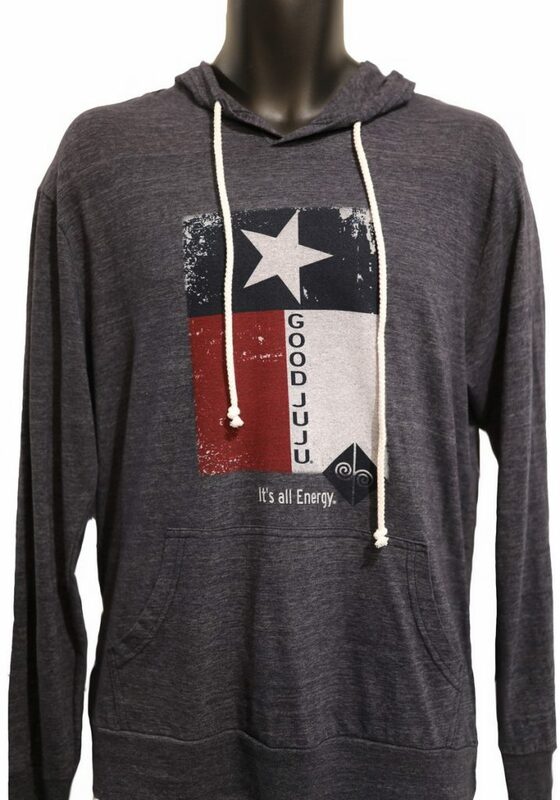 The Texas flag on this tank has Good Juju and the trademarked energy symbol combined on this design. 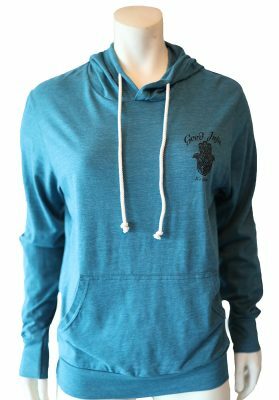 Made from a poly/cotton/rayon blend garment is so fashionable and comfortable you will never want to take it off! 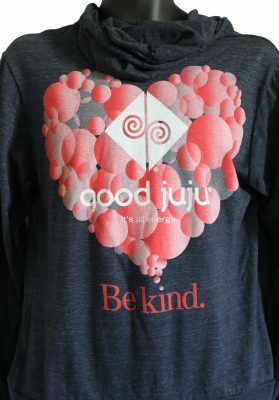 This hoodie would make an amazing gift for your BFF, cousin, mom, roommate, or anyone who enjoys positive energy in their life and is looking to spread Good Juju. 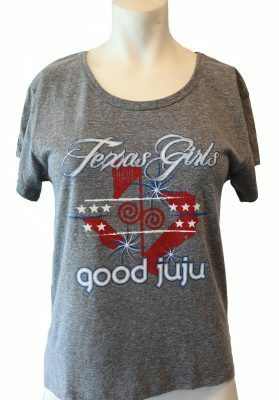 Logo Design says: Texas Flag, Good Juju, It’s all energy.